What Natural Supplements Help Memory and Concentration? Many people worry about memory loss and an inability to concentrate. A great deal of focus has been placed on Alzheimer’s and other age-related causes of memory decline. While research is limited and ongoing, doctor-approved dietary supplements may help prevent or manage these conditions, particularly if you aren't able to meet your nutritional needs through food alone. If you think that you or a loved one have a memory problem, talk to your doctor. She can help determine a possible cause and recommend appropriate treatment. According to the Merck Manual, a diet heavy in refined white flour, sugar, white rice and processed carbohydrates can result in a deficiency of thiamine, or vitamin B1. One symptom of a thiamine deficiency is memory loss. It is not unusual to be deficient in several of the B vitamins in addition to thiamine, and a B-complex supplement can provide these necessary daily amounts. Alcoholics and heavy drinkers are at risk for a thiamine deficiency, because alcohol interferes with the liver's metabolism of natural B vitamins. Other causes of thiamine deficiency are thyroid hormone imbalance, pregnancy or breastfeeding. Your parathyroid glands regulate calcium and phosphorous in your bones and blood. Hypoparathyroidism, an imbalance in parathyroid hormone, can cause a variety of symptoms, including memory problems, reports the National Institutes of Health. 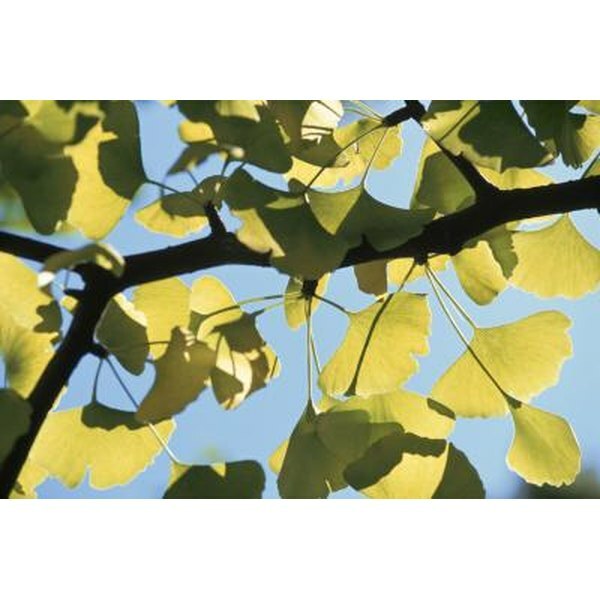 The only recommended treatment for hypoparathroidism is supplements containing calcium carbonate and vitamin D.
Ginkgo biloba supplements, derived from Ginkgo biloba Linne trees, are an herbal remedy to aid memory and concentration. Ginkgo biloba improves blood flow, and it can prevent tissue degeneration, potentially improving cognitive function in dementia patients. The Cleveland Clinic reports that the leaf extract is the preferred treatment in Germany for age-related memory impairment and dementia, with over 5 million prescriptions written annually. While well-controlled studies are lacking in the United States, ginkgo biloba supplements are one of the most commonly purchased over-the-counter herbal remedies in the U.S. The Cleveland Clinic cautions that because it is an unregulated herbal supplement, there is no guarantee of purity or strength.